Shake up a boring exercise routine by making these fantastic Bodymax Functional Training Slam Wall Balls a regular part of your fitness program. Boasting a wide range of weights from 3kg through to 20kg there is plenty to challenge even the most serious athlete. Build explosive strength, improve muscular endurance, increase speed and response time as well as strengthen and tone a wide variety of muscles including the glutes, quads, calves, hamstrings, biceps, triceps, deltoids, trapezius and core abdominals. These functional training balls offer a superb total body workout. They make a fantastic addition to any Crossfit or Circuits training. Holding a slam wall ball while you carry out squats, lunges, sit-ups and overhead presses will increase the intensity of the exercise and further engage your muscles. 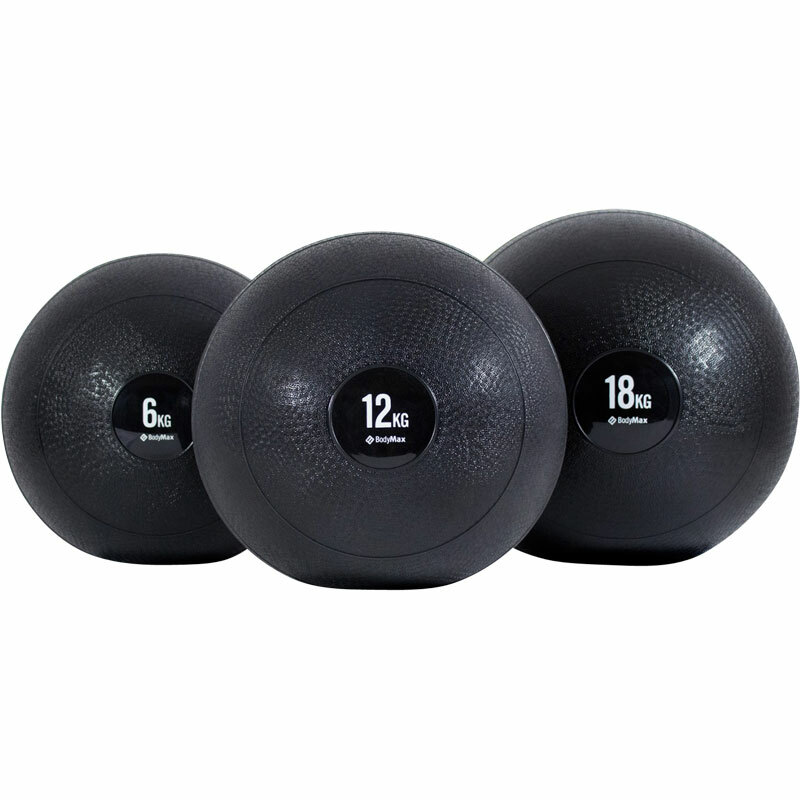 Completely different from medicine balls, these slam balls have been specially designed to be thrown against the wall or floor. It is this throwing action that is key to building explosive strength! Helps build strength and endurance. Available in weights from 3kg to 20kg.